Reverse Confetti's May Sketch For You To Try challenge is winding down, so be sure to get your entries in soon for a chance to win a Reverse Confetti gift certificate! You have until noon on the 29th to link up HERE. Can you even see the sketch? 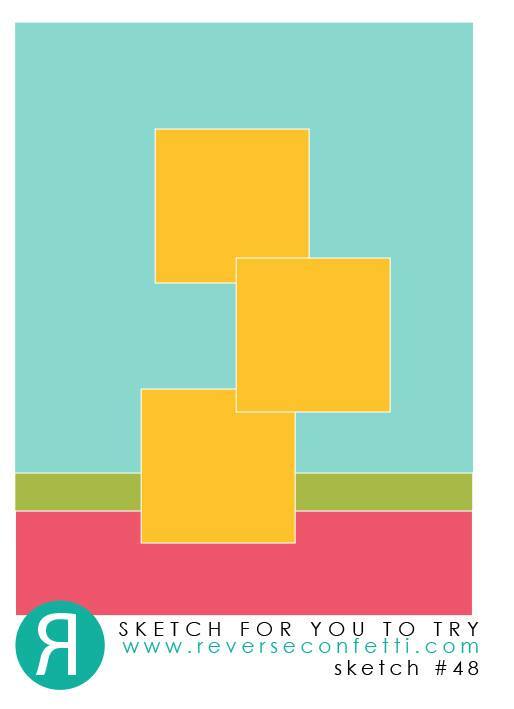 Blobs of paint for the three squares? 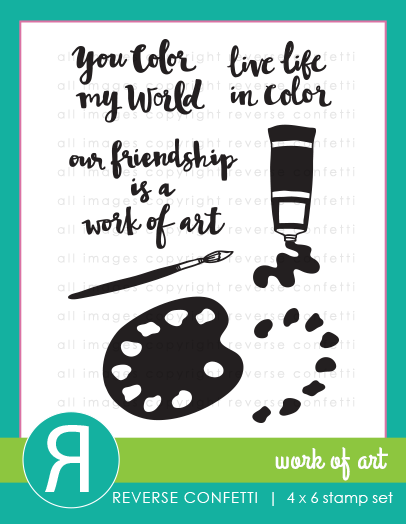 The paint blobs were done with both watered down re-inkers and watered down acrylic paint. 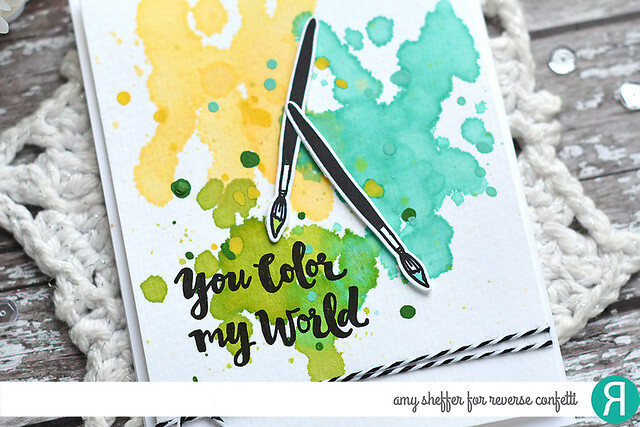 The sentiment and paintbrushes are both from Reverse Confetti's new Work of Art stamp set. I used a coordinating Work of Art Confetti Cuts die for the paintbrushes. This was quick and so fun to make! 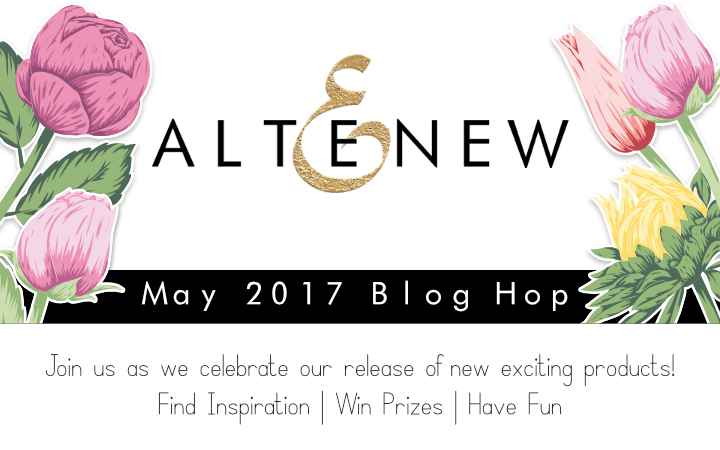 I'm super excited to participate in Altenew's May 2017 Blog Hop! 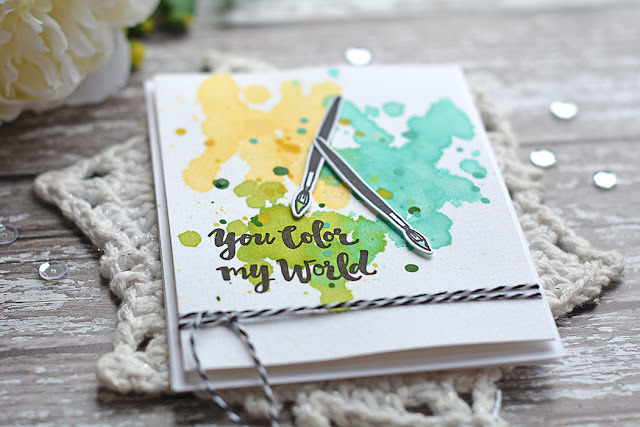 Altenew is releasing some fabulous new products, including stamps, dies and even embossing powders. You're in for a real treat with today's hop! If you're already hopping along, you will have arrived here by way of Yoonsun Hur If not, and you'd like to start at the beginning, head over to the Altenew blog to get started. When you're finished here, you'll head to Therese Calvird (I'll include the full hop list at the end). 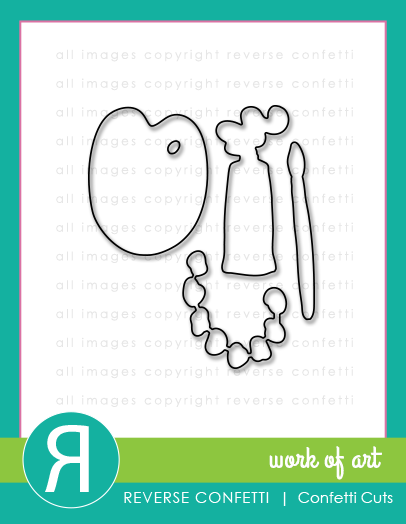 In addition, I will draw a winner to receive a $30 gift certificate. 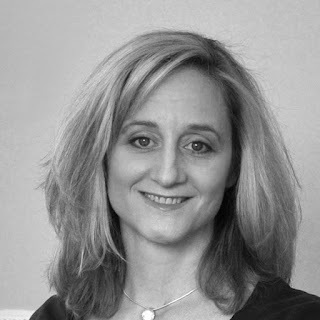 Just leave a comment on today's post. I will announce the winner at 9 am EDT on June 2. Okay, ready for some projects? I had a lot of fun playing with the products I chose to work with! 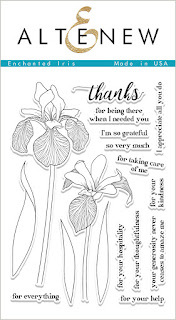 I have three cards and two card sets to share. 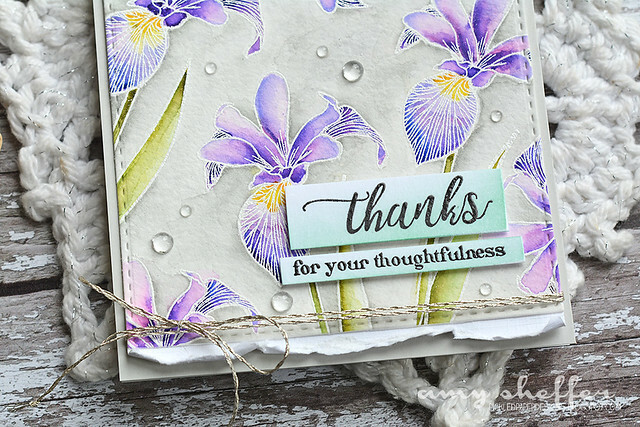 My first card features a beautiful new floral set called Enchanted Iris. Altenew has the best floral images! I have two patches of Siberian Iris in my yard, and I look forward to those blooms every year! 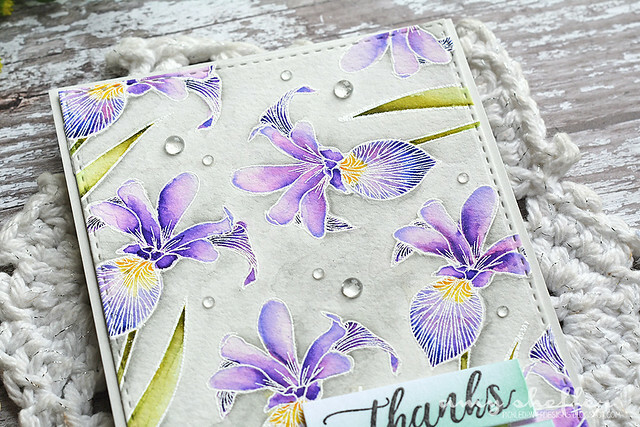 For this card, I stamped one of the iris images repeatedly and randomly, then embossed in white, and watercolored the flowers against a gray background. I used Zig watercolor markers. I confess to having not been a huge fan of the Zigs, but they do have some magnificent, intense hues that are perfect here! I may be coming around! 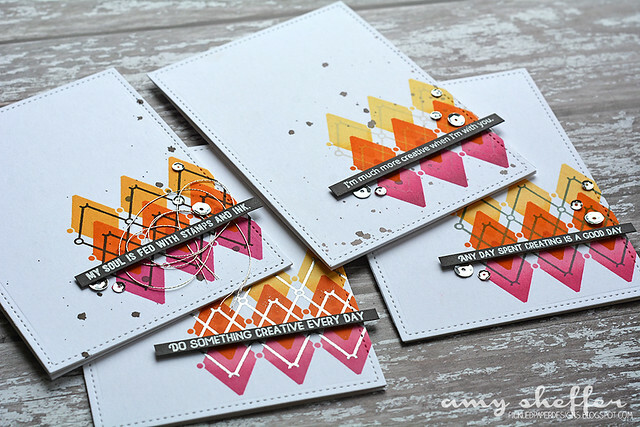 This next batch of cards were all created using Crafty Friends and Pattern Play - Diamond. 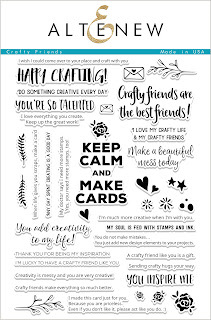 Crafty Friends is a ginormous set filled with wonderful sentiments perfect for crafty types! 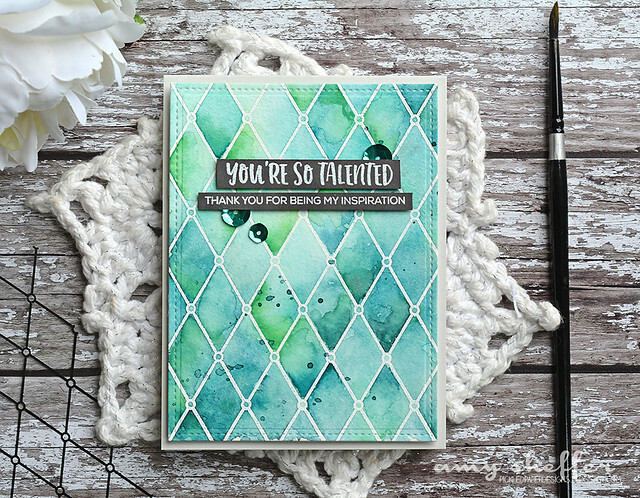 Pattern Play - Diamond has one extra-large background stamp as well as two smaller diamond trios, one solid and one outline. 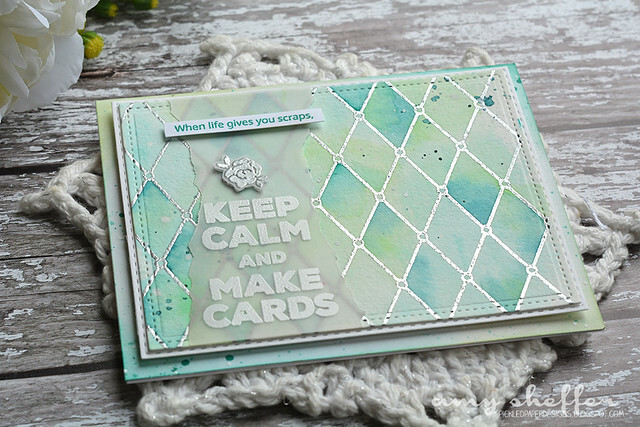 I started this card by stamping and heat embossing the large diamond pattern onto watercolor paper. 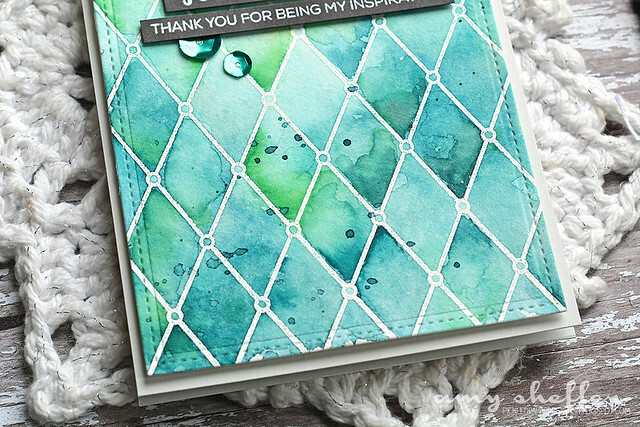 I knew those embossed diamonds would be perfect for creating little puddles of varying saturation. 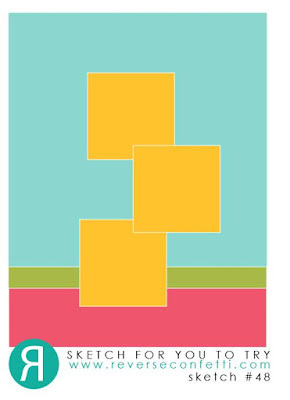 I don't know if this is going to make sense, but I really appreciate the extra-large size of the background image in Pattern Play - Diamond. 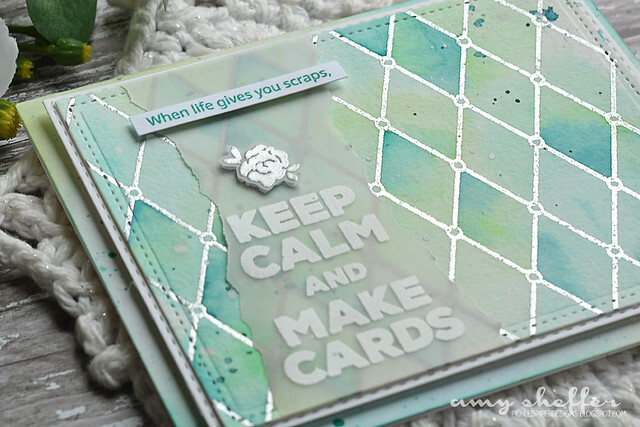 With a typical card panel-sized background, if you want your card to be horizontal, you have to rotate the stamp and the diamonds will run horizontally too. 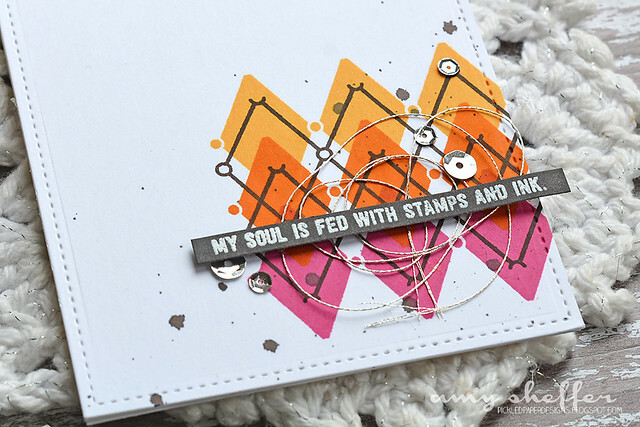 This stamp is large enough that your diamonds can be oriented in either direction, on both vertical and horizontal panels, too. 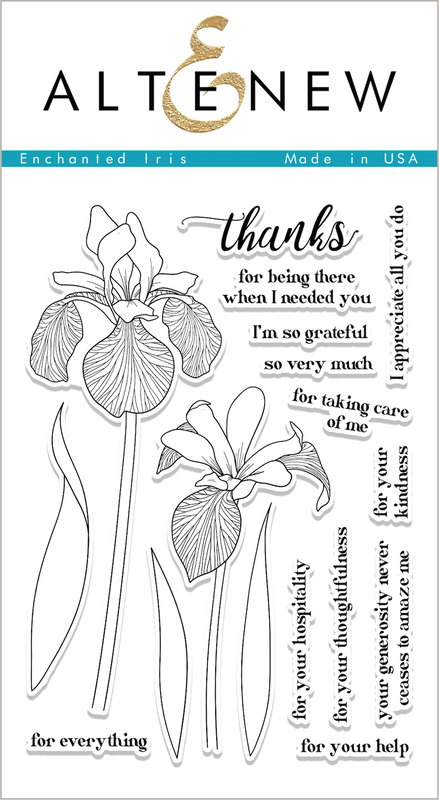 It's a little thing, but appreciated! 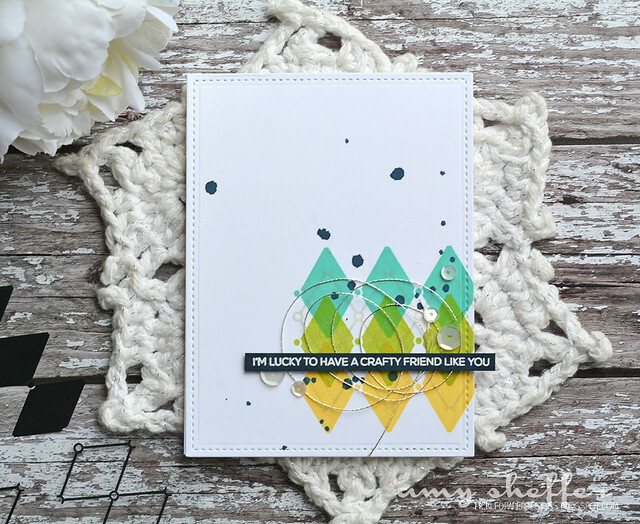 I am totally dedicating this card to each and every person in the crafty community! I did this background with Zigs, too. I just kept building up the color until I had the depth and saturation I was hoping for. 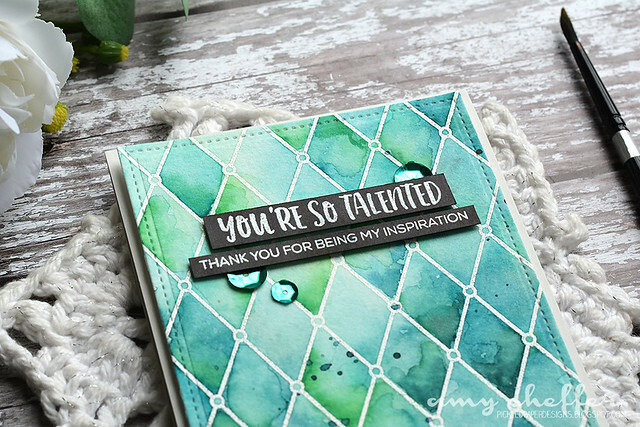 I wanted to do another, lighter blue-green background, this time with the beautiful Antique Silver Embossing Powder. Isn't that silver gorgeous?! See how the diamonds are still vertical on the horizontal card? That's thanks to the extra-large background image. 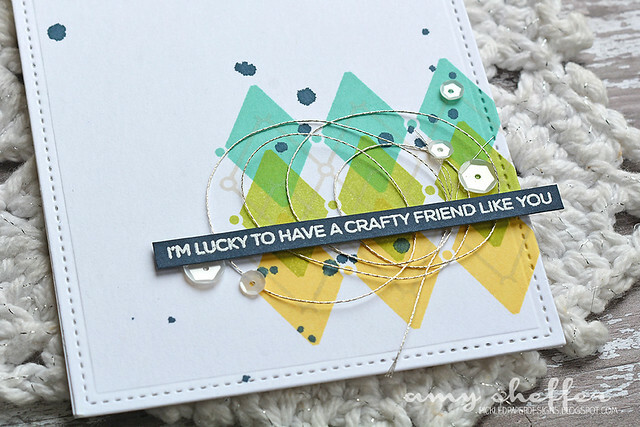 The sentiments in Crafty Friends just keep going and going. I wanted to create a design that I could relatively quickly mass-produce. 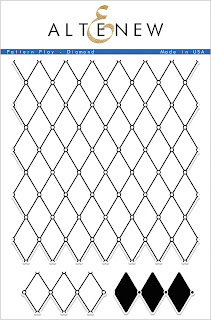 In addition to the large background in Pattern Play - Diamond, there are also two smaller images of three diamonds, one solid and one outline. 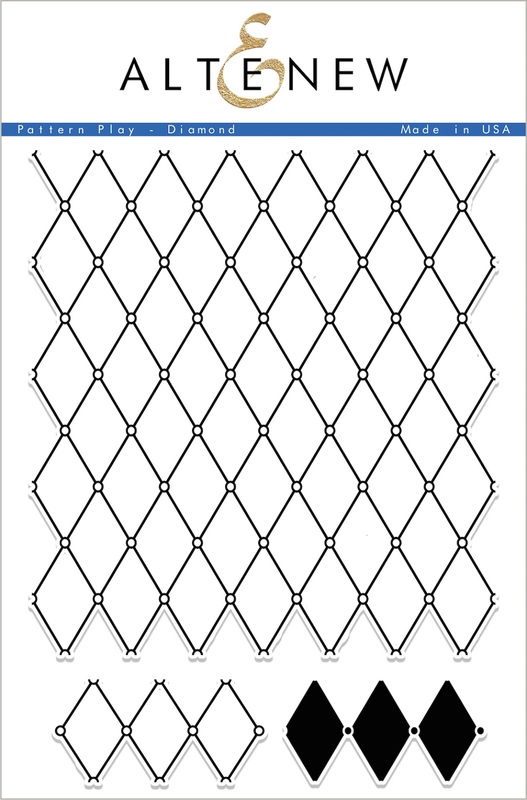 These are perfect for building fun patterns, including argyle. Here I've overlapped the solid triangles and then stamped the outline in the spaces in between. 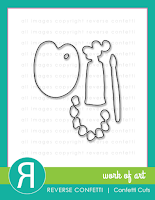 Once I had my images positioned in my MISTI and the measurements figured out, it was a breeze to whip up a whole set. I typically lose interest quickly when trying to mass-produce, so to keep it interesting, each card is slightly different. I made a second set, this time with a warmer, brighter color combo. 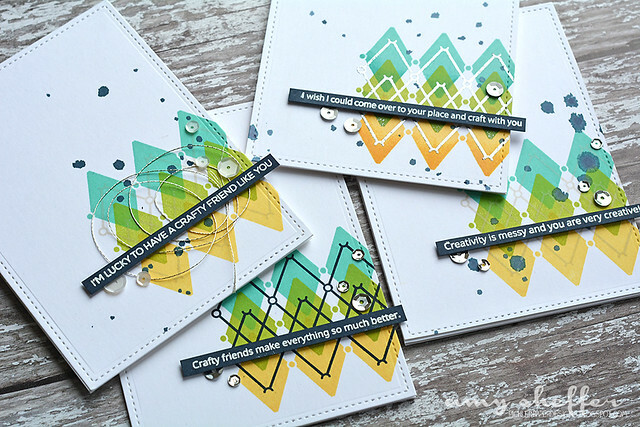 Between the two sets, I have eight cards, each with a different Crafty Friends sentiment. Hi there! I'm over on the Queen & Co. blog today, with a couple more contributions to May's flower focus. With so many different Queen & Co. floral embellishments, from fabric flowers to bling to toppings and more, there's something to fit just about any style. I loved adding Pom Flowers and Sparklers to my stamped hanging basket. 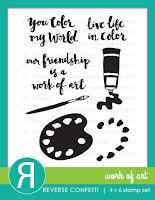 They add some fantastic texture and dimension! 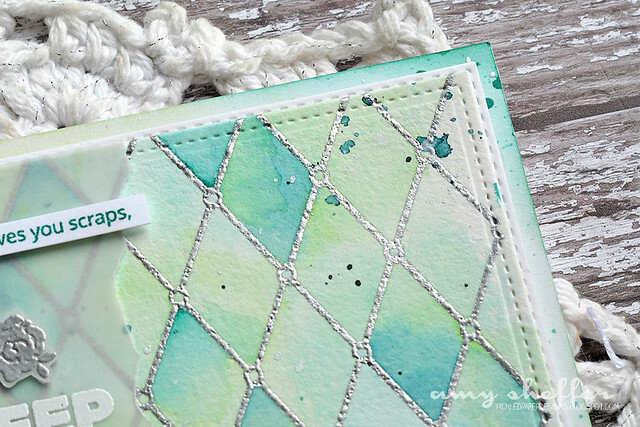 For my second card, I've combined blue and green flowers over tag shaker. White-on-white is one of my favorite looks, especially with some light ink blending for subtle contrast. 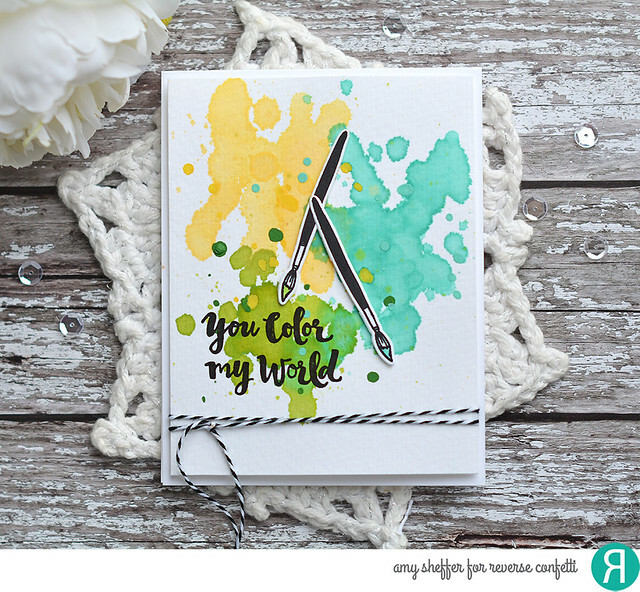 For lots more photos and card details, please see my full post today on the Queen & Co. blog.